Fansipan Terrace Cafe & Homestay is located in south side of Sa pa town in a quiet place, fantastic view , overlooking valley and Fansipan mountain (3143m hight). We are 400m from Sa pa town center. it is only 5 minutes walking from our place to the Bus stop.and 1 hour driving from Sa pa town to Lao cai train station. 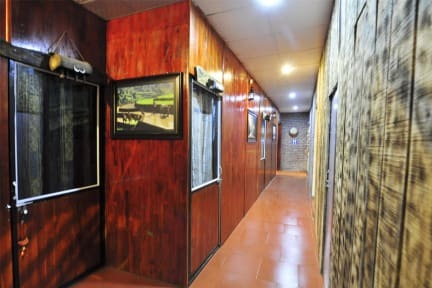 All rooms with large window, Nice view, Hot shower,clean,free wifi. 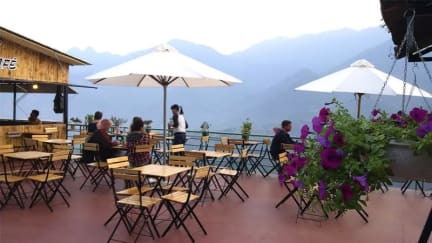 our Terrace Cafe is one of the most beautiful view in Sa pa, where you can find a real Sa pa for your own. Guests have an option of getting to explore the Sa pa area by visiting the Biking Tour , Home Stay tour, the tour to the roof of Vietnam and Indochina and the Local Markets. Pick Fansipan Terrace Cafe & Home stay as your place of stay for a warm serene getaway when visiting Sapa.